1. Prevent oily discharge from the bilge. Keep the boat engine well-tuned to prevent fuel and oil leaks. Place an oil absorbent under the engine and in the bilge. Check the absorbents often and dispose of them as a hazardous waste at a marina or nearby collection center. Keep bilge clean and dry. 2. Spill-proof oil changes and fueling practices. When a person changes a boat’s engine oil, they should use a closed system (such as a portable oil-change pump) available at marine supplies stores and always have handy an oil absorbent. Drain the used oil into a container that can be closed to prevent spills during transfer of oil. Recycle used oil and oil filters. Fuel up the tank slowly and carefully and use absorbents to catch drips and spills. Do not top-off or overflow the fuel tank, and leave 10% of the tank empty to allow fuel to expand as it warms. Dispose of saturated absorbents and fuel bibs at a hazardous household waste facility. 3. Do not add soap. Never use soap to disperse fuel and oil spills. It increases harm to the environment, and it is illegal. Avoid using bilge cleaners as they may get discharged overboard. 4. Minimize boat cleaning and maintenance in the water. Save maintenance projects for the boatyard. Avoid the docks and over the water projects. If required, when performing work on the water, minimize impact by containing waste using tarps and vacuum sanders, and collect all drips and debris for proper disposal. Use cleaners that are water-based, biodegradable, phosphate-free and labeled as less toxic. Avoid products with ingredients known to cause cancer or reproductive harm. 5. Reduce toxic discharges from bottom paints. Consider using non-copper antifouling coatings. Minimize fouling growth and extend the life of the hull coating by giving the bottom a thorough wipe with a soft, non-abrasive sponge. Use environmentally-friendly hull cleaning companies, who use green management practices such as monitoring their divers, and using non-abrasive scrubbing agents. 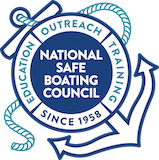 Remember, if the boat isn’t used frequently, consider keeping it in dry storage or installing a hoist that floats in the slip to minimize fouling marine growth. 6. Dispose of hazardous waste properly. Dispose of paints, batteries, antifreeze, cleaning products, oil, oil filters and other hazardous wastes at a hazardous waste collection facility or event. Never discharge untreated sewage anywhere within the three-mile territorial limit or into shallow waters, and never discharge treated sewage into shallow waters, bays, harbors, or marinas. Use sewage pumpouts, dump stations, or mobile-pumpout services. 8. Stow it, do not throw it! Keep trash onboard. Never throw cigarette butts, fishing line, or any other garbage into our waterways. Take advantage of shore-side facilities to recycle plastic, glass, metal, and paper and avoid excess packaging. 9. Reduce grey water discharges. Use a phosphate-free soap to minimize the impacts of grey water (any non-sewage water) on the marine environment. Also, minimize discharge by doing dishes and showers on shore whenever possible. 10. Do not spread aquatic invasive species. Clean, Drain, and Dry the boat. Before leaving any body of water, examine the boat and equipment and remove any visible mud, plants, or animals before transporting equipment. Never release plants or animals into a body of water unless they came out of that body of water. Also, do not release them into storm drains, because most storm drains lead to water bodies or wetlands. Eliminate water from all equipment before transporting anywhere. Clean and dry anything that came in contact with the water (i.e., boats, trailers, equipment, dogs, boots, and clothing). For hazardous waste recycling or collection centers, call 1-800-CLEAN-UP or visit www.earth911.org.